Selling your home involves more than simply listing it for sale and waiting for the buyers to come. If you want absolute top dollar, you need to make necessary repairs and improvements. But what repairs should you make, and how much should you spend? After all, you want to get a return on your investment. 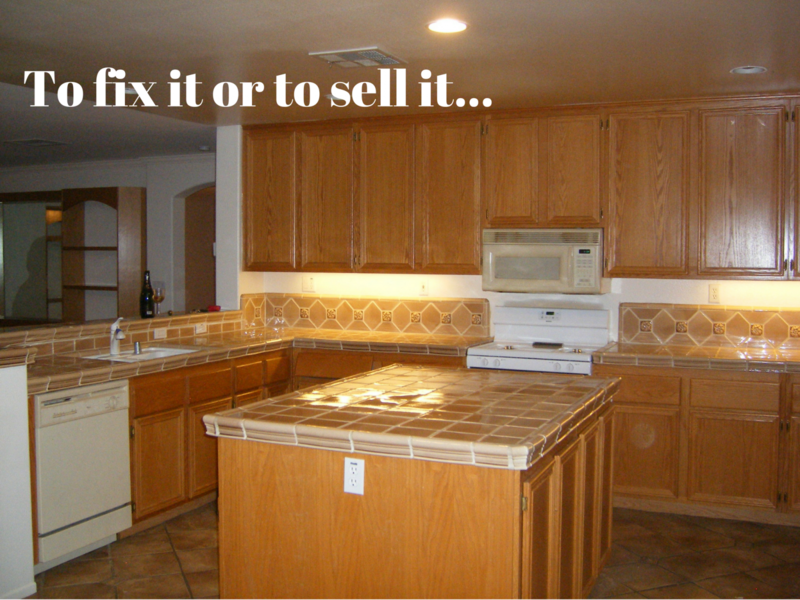 So, what should you fix before selling your home? If your flooring is old and in bad shape, you can make improvements that are cost-effective. Potential buyers will look at the floors in your home, so they need to be looking as best as they can. If you have wood floors, consider refinishing them. At the very least, you can use rugs to strategically hide unsightly spots and scratches. A big area rug words wonders. If you have carpet, make sure it is cleaned and fresh-smelling. Of course, brand new carpet is ideal, but not every seller can afford that. There is nothing worse than ripped carpet with stains in the home that you are selling. Buyers will be turned off by this, so steam clean the carpets and try to get out as many stains as you can. The roof of your home is one of the most important things to consider. If there is damage present on the roof, this will undoubtedly affect your price. Potential buyers won’t want to replace or repair the roof of a newly-purchased home, and it could mean that you need to lower your asking price. To avoid this, make any necessary repairs to the roof, including water damage. When water damage occurs, other problems such as mold surface. These are problems that you cannot deal with when sellingyour home, so be sure to make repairs. Want to give rooms in your home new life? A fresh coat of paint goes a long way in freshening a room. But make sure you stick with neutral shades of paint rather than bright colors such as purple. You don’t have to make all of your walls white, but stick to shades such as tan, mocha, or crème. These colors will make the rooms appear more spacious and warm. If there is one thing that you should put effort into when sellingyour home, it is curb appeal. First impressions are everything, and potential buyers decide within just a few seconds if they love your home or not. You don’t have to spend a lot of money on curb appeal, but you should invest in some landscaping. For instance, make sure your lawn is neat and trimmed, and all weeds are pulled. All trees and bushes should be properly manicured. If you have time, plant some flowers by the walkway and put a wreath on the front door. Make your home look inviting on the outside to entice buyers. For some buyers, these two rooms can make or break their interest. Many people consider the kitchen and bath to be the most important rooms in a home, so be sure they are presentable. You don’t have to completely remodel them, but spend a little time and money to make them pop. In the kitchen, you can refurbish your cabinets instead of completely renovating them. Refinishing can really make a huge difference in the look and functionality of the kitchen. In the bathroom, you can add little touches such as new faucets, cabinet handles, and more to make it more attractive to potential buyers. Not sure if you want to go through all the stress of repairs? We’ve got you covered. We buy houses in any condition, which means you can forget about the stress and worry that comes with hiring contractors, picking colors, living at a job site, and not knowing if you’ll get a good return on your improvements. Contact us today for a free home evaluation.